On Saturday July 13 at 10 pm PST we will be performing maintenance on the server that Wildlife Rehabilitation MD is hosted on. 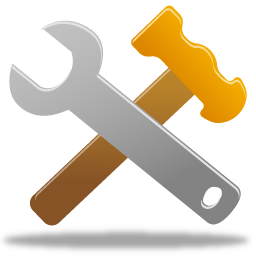 This maintenance is being performed in order to better manage the wrmd.org domain name. It should have no affect on daily use of Wildlife Rehabilitation MD, however changes to domain name settings can take hours to propagate across the internet so, if you are using Wildlife Rehabilitation MD between Saturday July 13 at 10 pm and Sunday July 14 at 4 am PST you may experience odd behaviors from the site. In April of 2013, two of the Wildlife Rehabilitation MD team members traveled to Belize in Central America to volunteer at Belize Bird Rescue. The director, Nikki Buxton, needed a break so Trish Orlowski and I (Rachel Avilla) managed the facility while Nikki was out of the country. We immediately opened a Wildlife Rehabilitation MD account for Belize Bird Rescue. We both were coming from a very large organization using Wildlife Rehabilitation MD to a very small organization in another country were we had to learn a lot about how a small organization could use Wildlife Rehabilitation MD. Wildlife rehabilitation is very similar in Belize with only a few major differences. Many of the animals in care take years to rehabilitate, such as monkeys and parrots. In the United States, rehabilitators complain about the lack of resources, usually because of lack of finances. However in Belize, we soon realized that they don’t have access to many resources at all, even if they could afford them. For example, they do not even have live mealworms, frozen mice or rats available for purchase. We had to catch insects and rodents from the gardens just to have something to feed to the patients. Medications are easy to get if you can find the right ones but then you need to translate the Spanish on the bottles. There are very few veterinarians in the country, so veterinarian care is also limited. There are several wildlife rehabilitation centers in Belize, but they all focus on specific species. There are no other rehabilitation centers in the country that work with birds, so the rescued birds go to Belize Bird Rescue. 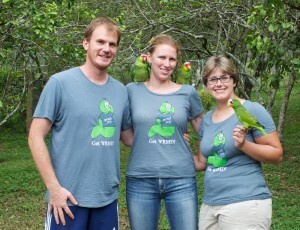 With that said, Belize Bird Rescues intake is around 200-300 patients per year. We started using Wildlife Rehabilitation MD when we arrived in early April and by the time we left at the end of June, we had received over 60 animals. This experience has given us a huge insight into how the international community of wildlife rehabilitation could use Wildlife Rehabilitation MD. Belize is becoming a great test run on how to get the entire country using the same system, (and they are interested). This adventure was not only fun and a lot of hard work but it also exposed us to many of the details that need to be addressed in Wildlife Rehabilitation MD in order to offer this amazing software to the rest of the world. Now it’s time to get to work.